Homeowners in Severn needed a spot to retreat after a long day and chose our Ashler Slate pattern. 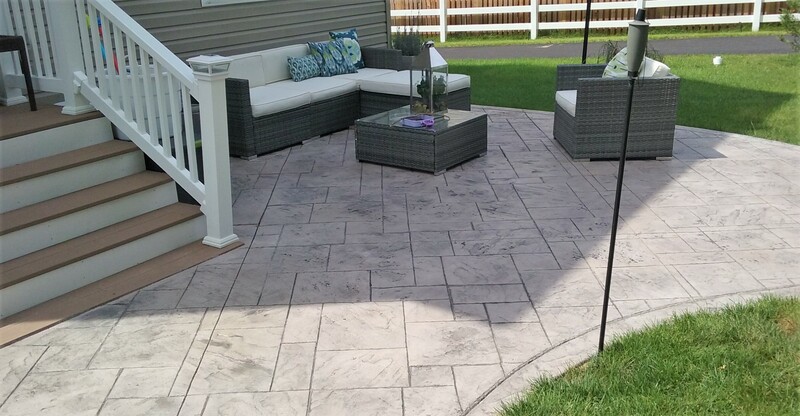 Instead of parking it on the patch of embarrassing trampled grass, now they can kick back and relax on this beautiful custom patio! Transformed in only two days, this custom patio is a simple, elegant entertainment space built to last a lifetime. To hear more about our concrete capabilities, please contact Maryland Curbscape today. After photo of Severn custom patio.